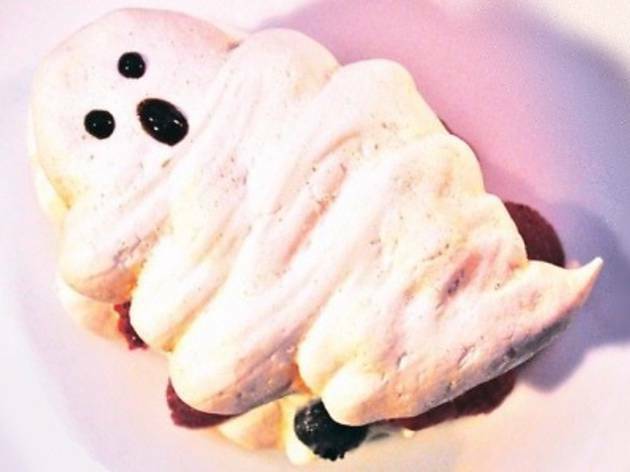 Dine on some spooky Halloween-themed selections from Palate Palette, available for six days only. 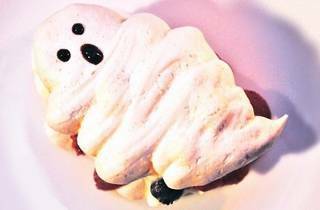 Start with a pumpkin soup followed by squid ink seafood linguine as the main course and end on a sweet note with a cute ghost-shaped meringue served with honey whipped cream and fresh berries (pictured). Each dish can be purchased individually or as a set at RM44. Red wines will go at 10 percent off and diners can opt to try the White Lady (RM22), a concoction of gin, Cointreau, lemon juice and a dash of egg white.